My father, although no longer a living witness, carefully wrote us a memoir describing his wartime experiences. Peter Hudis, a reluctant Jew, was barely fourteen years old when Britain declared war on Germany on 3rd September 1939. He was prompty evacuated to the home of a devout Catholic family, an experience he found enthralling. Excited about his new discoveries, and eager to fit in with his hosts, he wrote home asking if he might have a rosary so he could join in family prayers. Of course, his parents were horrified. The danger to their only child's Jewishness suddenly became much more important than the dangers of war--especially during those days of the Phoney War, when no bombs were falling. Peter was immediately brought home to a city virtually emptied of children. 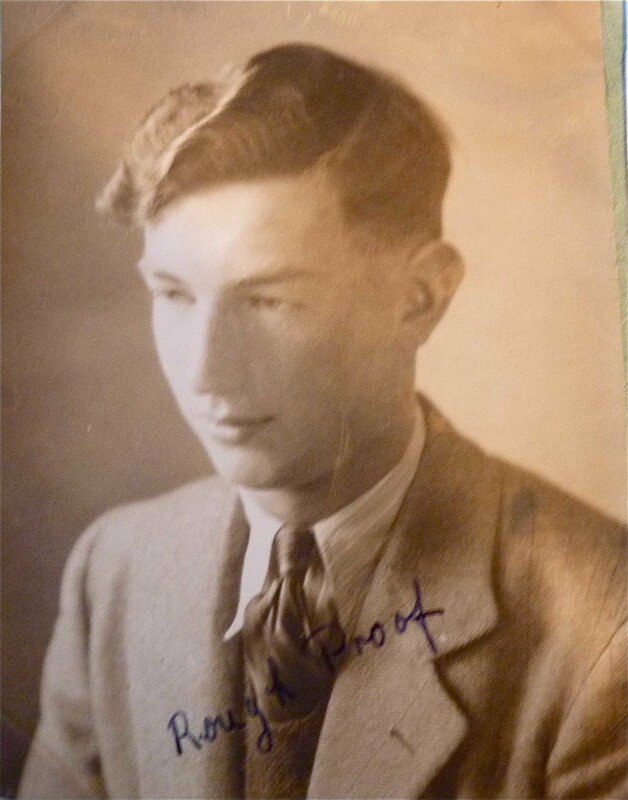 Thus, when the London Blitz started in September 1940, Peter was living with his parents in Cranley Mews, London. He was present on the fateful day, Saturday 7th September, when the skies filled with German bombers, a sight simultaneously impressive, exciting and terrifying to a teenage boy. While most London schoolchildren were evacuees in the countryside, Pete was in London during the entire Blitz. There were few teachers left in the city, and Pete would have gone to school part time, as the same teacher had to teach two batches of children each day. At first, Pete joined the masses who sheltered in the London Underground. Later, the family got an Anderson shelter. That December, and for every Hanukkah throughout the war years, the family menorah was lit behind blackout curtains. Eager to be of help in the war effort, young Pete volunteered with Civil Defence as a fire guard or fire warden. This gave him the exhausting and responsible job of staying up all night patrolling the neighbourhood, watching for and reporting incendiary bombs and the ensuing fires. 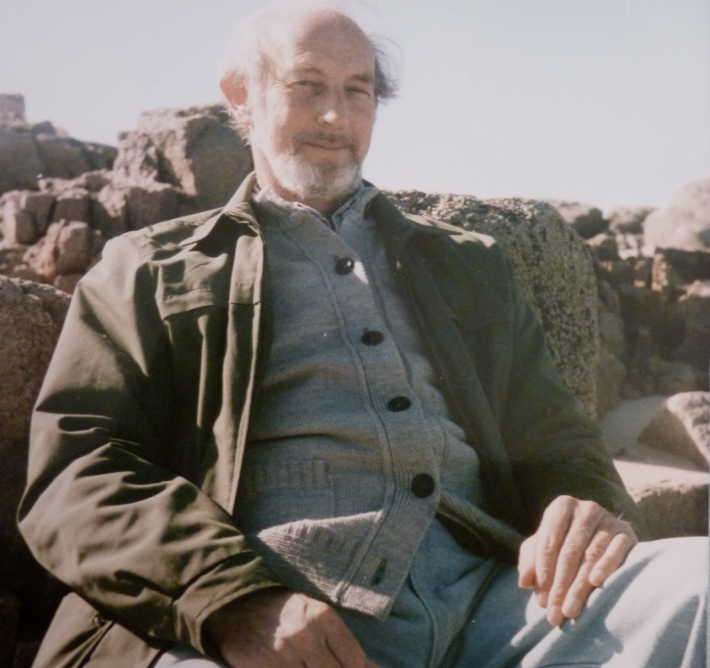 His father, Philip, was a civil servant working in the Ministry of Home Security. Philip was responsible for coordinating London's civil defence. He often had to stay overnight at the Ministry, situated in a building with turf on the roof to camouflage it. After spending sleepless nights at the ministry, Phil would tap Pete on the shoulder to send him off to bed and take over his night fire warden duties. Peter vividly recalled the Longest Night, 10-11th May 1941, when Luftwaffe bombers claimed 1,486 lives, destroyed 11,000 houses, and hit the Houses of Parliament, Waterloo Station, the British Museum and many other landmark buildings. 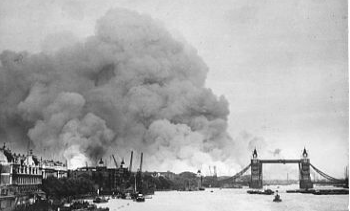 On these nights as well as other nights when he was awake as a fire watcher, planes screeched, sirens wailed, explosions shook the air and flames lit the skies over London, an eerie effect that was both hideous and strangely beautiful. Tragedy struck the teen's wartime romance when Pete was diagnosed with pulmonary tuberculosis. My father's next set of wartime memories--life in a TB sanitarium--were so traumatic that he spoke of them only once, on a private walk with me, his eldest child. Since TB was pretty much a death sentence, few ever survived to speak of these experiences. For an adventurous and self-motivated youth who loved to explore and find new experiences, the confined and tightly regulated life of an institution must have been torture. The young Pete was given the job of pushing the library trolley from ward to ward, a chilling experience that offered him a weekly glimpse of what lay ahead of him, as he visited the wards full of more advanced cases, thinking that he too was destined to progress from ward to ward towards death. After receiving an experimental pneumothorax treatment, Peter was sent home to die. This he stubbornly refused to do, just as his country had refused to surrender to Hitler. Victorious over La Belle Dame Sans Merci, consumptive pulmonary tuberculosis, Peter participated in his country's victory celebrations and went on to live a long and healthy life.